Zafa Fest is international dance festival in Kuressaare, where different middle eastern dances are introduced, two nights with exciting dance concert and competition and it all invites you to have active holiday in wintery Saaremaa! Festival is meant for dancers from the island, mainland and abroad. Program and festival passes are made suitable for both beginners and advanced dancers. Every year different professionals are coming to share their knowledge, including artists from abroad. During four day festival you can take part of competition, hafla, workshops and bootcamp. We also hope to offer new experiences to local people, as we have many beginner-friendly classes. This is perfect way to try new dance styles and maybe even find a new favorite one! There aren’t many international dance festivals held in Saaremaa and next to that Zafa Fest is the only oriental dance festival in Estonia that is all-in-one venue, so all of the events, including accommodation and catering, take place in one hotel. The main co-operation partner for Zafa Fest is Saaremaa Spa Hotels. Saare Hafla started in 2011, by then there were already many oriental groups dancing in Saaremaa. First hafla aka middle-eastern party was held to introduce this exotic culture to local citizens and dancers. Christmas hafla was a big success and by now Saare Hafla has been held for already 5 times in Arensburg lounge Muusa. Event has been in continuous progress, every year we had new professional and amateur dancers performing from all over Estonia and although trip to Saaremaa is more expensive than performing on the main land, many dancers take this as a mini- vocation in Kuressaare. Saare Johara (jewel) was first held in 2013 and it was a competition ment for amateur oriental dancers. The main purpose was to give the first solo performing and competing experience for new dancers in positive environment. And of course the first Saare Johara was crowned. After short break organizers decided- go big or go home! So in 2016 Saare Hafla and Saare Johara came back together in new venue- a la carte restaurante Nautica. After amazing event everybody needed a spa day- luckily we were already in Spa hotel! 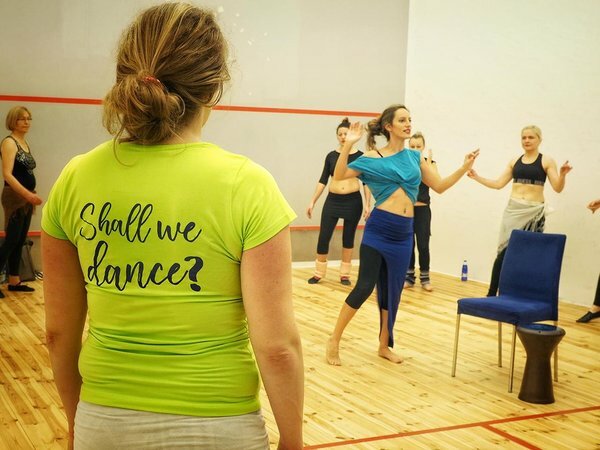 “More workshops”, “big afterparty”, “it should last longer”... this kind of feedback gave the organizers only one option- to make first oriental dance festival in Saaremaa!